Sign up with our promo code "TYLC"
Receive the Platinum Membership - your rate will never change as long as you are a member. Sign up for an annual membership and receive an additional 2 months free! 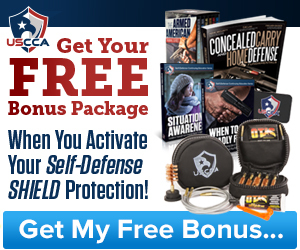 Do you need Self Defense Legal Protection? You've probably thought a lot about how you'll defend yourself if you're forced to use a firearm. But have you thought about what you'll do AFTER a self defense shooting? One suggestion that keeps coming up is having ccw licensees buy concealed carry insurance. The argument is that since armed self defense can lead to legal liability, some form of concealed carry liability insurance should be required just as it often is for other potentially dangerous activities, such as driving a car. There are several programs out there which provide different levels and types of coverages. I recommend the following programs. Each one fulfills different areas. You may not need all of them, but you should join the one which meets your needs. Please contact us to discuss which one meets your situation the best. Are you and your family prepared for what to do after a self defense incident? Interested in Second Call Defense?